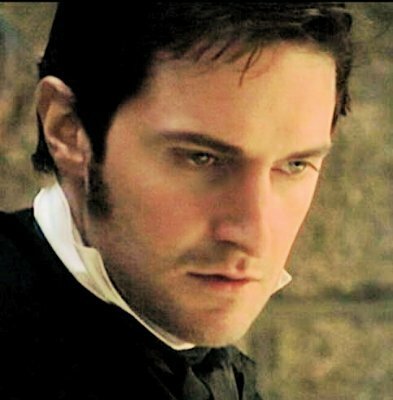 Richard Armitage played John Thornton in the 2005 BBC miniseries North and South. Why: John Thornton is a self-made man whose stoic exterior conceals a heart waiting for the love of the right woman. He has spent his life building a business and taking care of his mother and sister. He’s the owner of a mill in the fictional city of Milton in northern England. He has “never loved any woman before.” His “life has been to busy,” his “thoughts too much absorbed with other things.” But, when a beautiful young woman, Margaret Hale, comes to the city from the rural, gentrified, south the walls of indifference he has built up around his heart begin to tumble. …Are the two of them so different in manners and customs…(and is their timing too flawed) for love to bloom? Pros: Strong, loyal, generous, disciplined, intense, genuinely concerned with both his worker’s health and the mill’s financial viability. Cons: Hot tempered and initially inflexible with his workers. Bad timing. Least Shining Moment: When Margaret first see’s Thornton. He’s in the mill and has caught a worker smoking. The slightest flame can set the entire works ablaze and he beats the worker for his carelessness. Click here to read my Elizabeth Gaskell Thought of the Day. This entry was posted on Sunday, January 6th, 2013 at 1:02 am	and posted in books, Elizabeth Gaskell, England, Fiction, fictional character, Film, postaday, Thought of the Day. You can follow any responses to this entry through the RSS 2.0 feed. I’ve been meaning to read this! Thanks for the Kindle link- just loaded it! 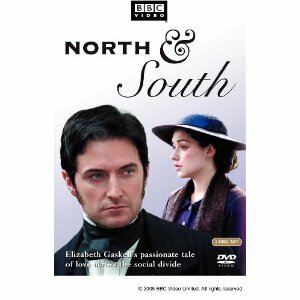 N & S is my favorite Elizabeth Gaskell book — and I really like her — so I hope you enjoy it! I’ll report back when I finish! thanks again!